With one gameday left for the end of the regular season of the Israeli league, the players union is on strike. The regular season was sheduled to end this weekend in Israel, but it remains to be seen if the games which were rescheduled for Thursday will be played. 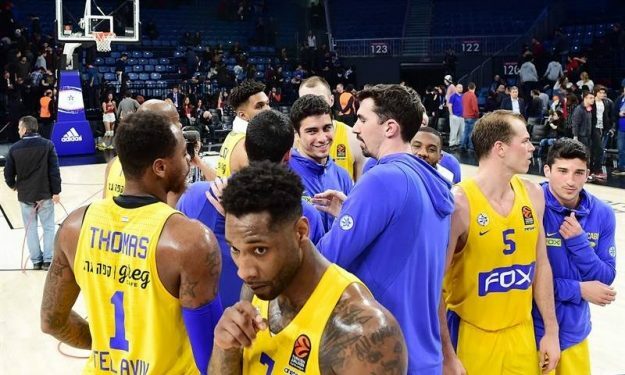 The Israeli Basketball Players Assosiation announced a strike as the league prepares changes for next season and the so-called “Russian rule” is expected to be changed. This rule, which forces teams to have at least two Israeli players constantly on the court is one of the main reasons for Maccabi FOX Tel Aviv’s decision to have two seperate rosters for next season, one of the domestic league and one for the Turkish Airlines EuroLeague in which the club has a ten-year contract. Meanwhile, The European Basketball Players Union announced its support to the strike with the following press release: “The European Basketball Players Union (UBE) sends its support to the players represented by the Israeli Basketball Players Association in their strike to preserve the special character of professional basketball in Israel. It is UBE’s position that professional clubs throughout Europe must continue to play an important role in developing and supporting national team players by doing all that is possible, within the law, to promote and develop domestic talent. National teams are a critical part of the business of basketball and, if domestic players do not have the opportunity to play and develop, all players, regardless of nationality, will suffer in the longer term as the popularity of the sport diminishes”.